The Cleveland Cavaliers are in a huge hole in the NBA Finals, down 2-0 and getting blown out in both games. If they can’t come back in this series against the Golden State Warriors, it will extend one of the most dubious marks in North American professional sports. 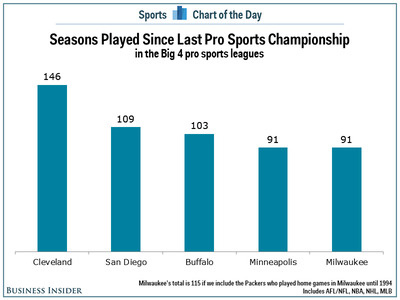 Of the cities in North America with at least one team in one of the four major sports, no city has seen more seasons played across the four major sports since their last championship than Cleveland. 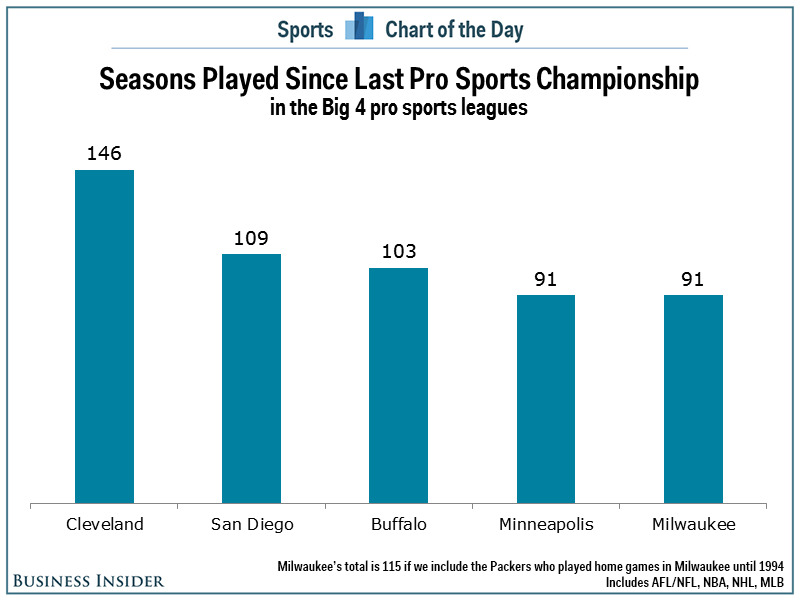 If the Cavs lose the Finals, it will be the 147th straight pro sports season without a title. No other city is even close.